NETGEAR Rangemax WNDR3700 Dual Band Router Review - Best Review by Dan Karas. The NETGEAR RangeMax WNDR3700 Dual Band Wireless-N Gigabit Router is a new full featured, high performance product from NETGEAR. The WNDR3700 in one of the best feature rich true Dual Band routers you can buy on the market today for home and small business use. The WNDR3700 has two separately configurable wireless networks, one for each band. You can configure guest networks for each band. Guest networks are great for granting Internet access to guests while preventing access to your local network and personal files. ReadyShare™ USB Storage Access allows you to easily share USB storage devices connected to the router with other computers on your home network or over the Internet. ReadyDLNA allows media files on the USB hard drive can be viewed and played on any UPnP compliant media player such as NETGEAR's Digital Entertainer Live and compliant Media players like Xbox360, PlayStation3 or Sony Bravia TVs. The NETGEAR RangeMax WNDR3700 Dual Band Wireless-N Gigabit Router is not the cheapest router you can buy, but if you compare features and performance the WNDR3700 is a great value. The speed, performance, features, and Excellent Customer Reviews of the WNDR3700 make it a serious contender if you're in the market for a quality router for your home or office. 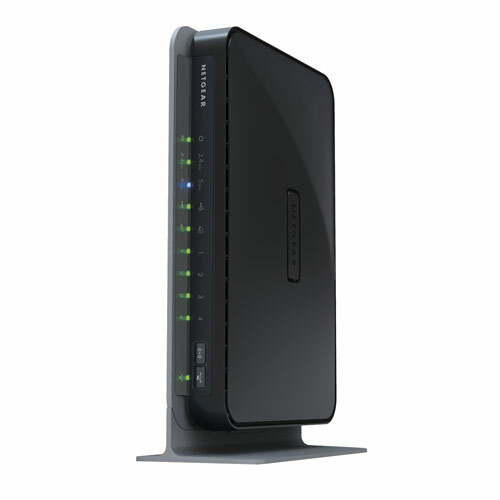 In my opinion the NETGEAR RangeMax WNDR3700 is a full-featured, quality product and deserves five stars. ISP 1 reviews the Best Internet access related products and services. Click Here for an Index of ISP 1's Reviews. PDF Format - "NETGEAR Rangemax WNDR3700 Dual Band Router Review"
Word Download - "NETGEAR Rangemax WNDR3700 Dual Band Router Review"